Indonesian dessert has always hold a favorite place in my heart. Any Indonesian desserts are special because they have their own story from area in Indonesia. My dad is also a big fan of it so he will always order it for dessert on our dinner time. 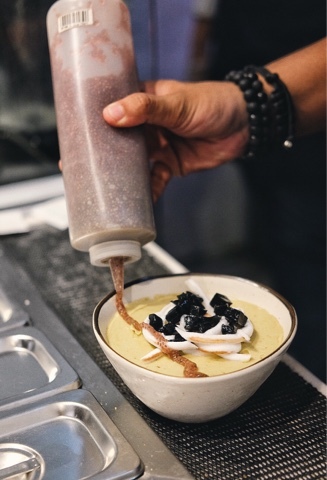 One of his favorite is Es teler, which is consist of Avocado, coconut meat, cincau, jackfruit that are served with coconut milk and sweetened condensed milk. See how many calories in one bowl? Yes, too many calories. Good thing is, Berrywell is so thoughtful to remake it in a healthier way. This seasonal menu is also to celebrate independence day of Indonesia, so they create something that close to Indonesian people, something that close to our heart. 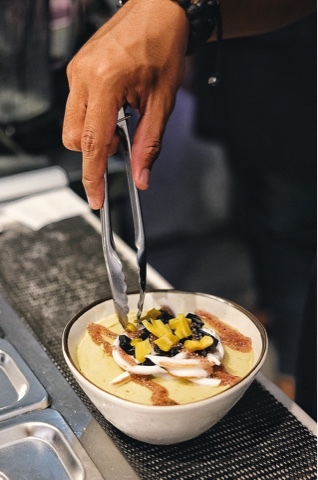 Yes, it's our favorite es teler, with the magic of Berrywell, turn into Teler Bowl. The same goodness, the same heartwarming, yet in healthier way. 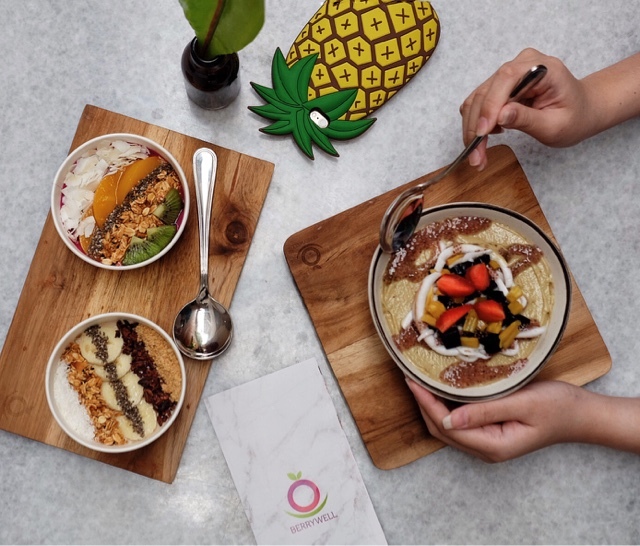 Smoothie bowl feast at Berrywell. Each only contains around 120-321 cals per bowl. 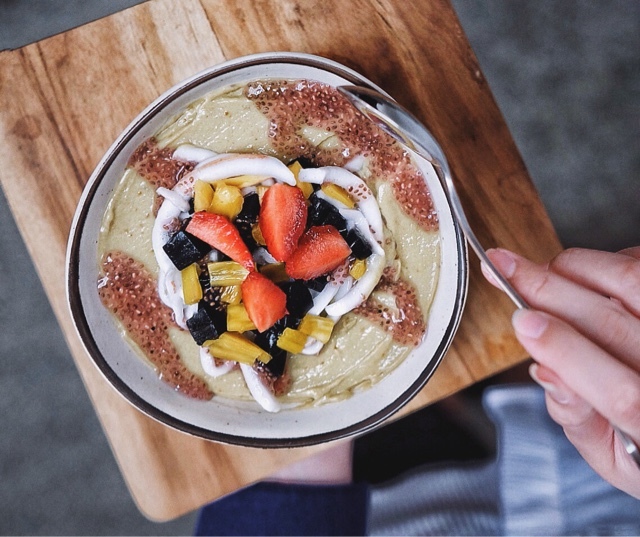 How to turn our favorite es teler into healthy Teler Bowl? My favorite smoothie bowl place is such a genius. 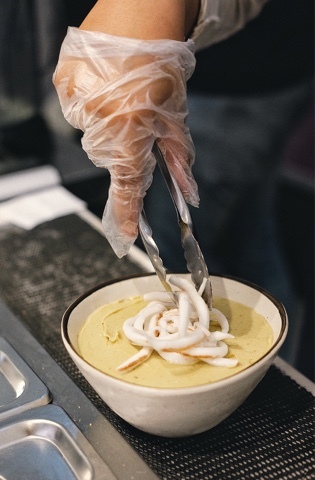 They turn avocado, honeydew, and banana into smoothie base that bring the same tastiness with its traditional kind of teler bowl. 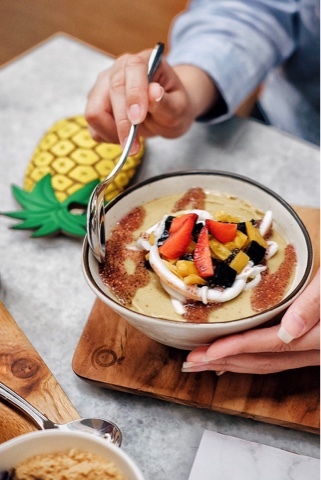 The base of the smoothie is kinda heavier than their usual product, but it's very enjoyable and give you a longer time to be active until your next meal. The sweetness also comes from the coconut sugar infused with coconut milk. A fragrant bowl indeed. The toppings, also come in healthier choice. The cincau is homemade, made from coconut water and activated charcoal. Sounds healthy, right? The bowl also covered with cold pressed beet chia jelly, which has the similar taste with the usual selasih we find in es teler. As you know that chia jelly has so many benefits and can make you feel full longer. To add the colors: jackfruits, strawberries, and coconut on top. The colors are tempting, make me drool when I am typing it right now! 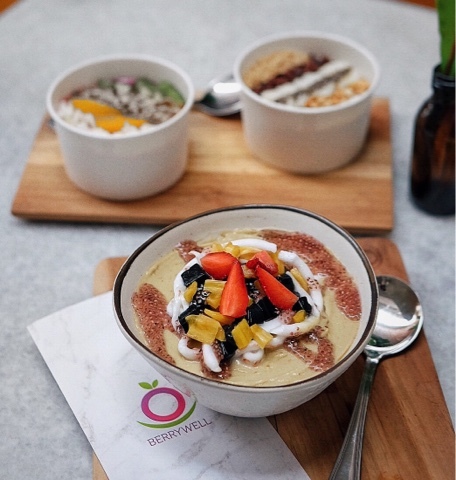 Overall Teler Bowl is one seasonal creation of Berrywell that you should try. Berrywell is being very innovative by creating seasonal product every several months. 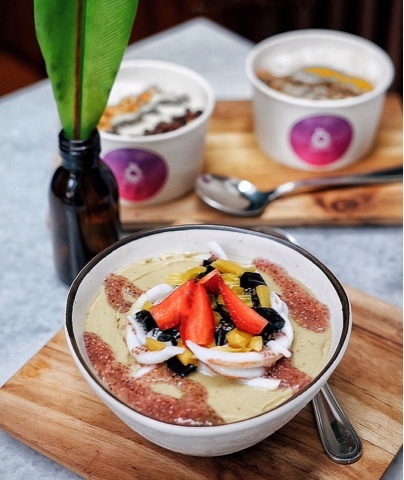 This teler bowl could be your choice of breakfast meal, or those days when you did not really into lunch and need something fresh! Moreover, avocado lover must have loved it! Guilt-free treat indeed. I did recommend their product before this one some time ago and some of you still missed it. 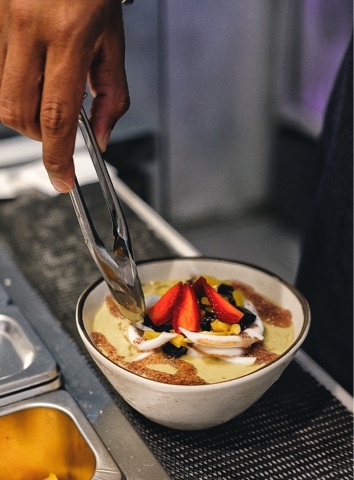 So make sure you try this Teler Bowl!